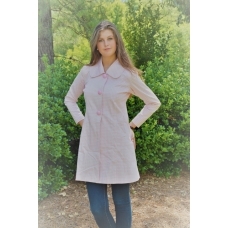 You are sure to love this swing jacket by Erma's Closet. 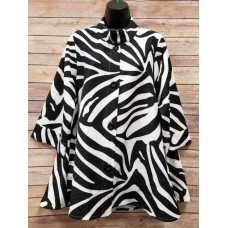 Light weight and fun and great for wo..
Everyone is going to love this Erma's Closet Black and White Zebra Print Swing Jacket. 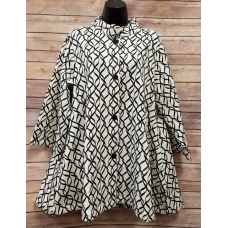 Th..
Want a hot jacket for year round? 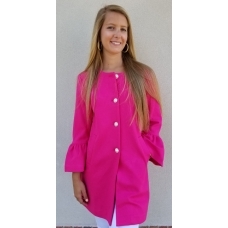 Look no further than this Erma's Closet Cream Zara Jack..
You are sure to get tons of compliments on this fabulous Erma's Closet Hot Pink Zara Jacket wit..
You are sure to love this Erma's Closet Pink and White Checkerboard Long Jacket. Great ba..